Who is Morningdale Log Homes? What do we do? 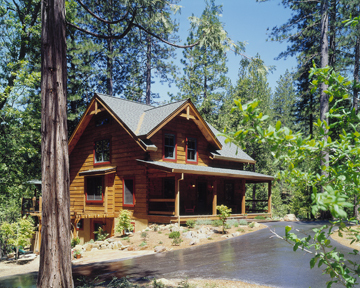 Home→Announcements→Who is Morningdale Log Homes? What do we do? As co-owner of Morningdale Log Homes LLC., I am proud of our Customer Satisfaction rating and of everyone who has helped us achieve it for almost four years running. In our industry, many companies use high pressure sales tactics and vague promises to entice people to quickly buy their product, after which they have nothing more to do with the customer.For such a large transaction, it seems almost obscene to just let the customer fend for themselves after the sale. At Morningdale Log Homes, we refrain from using those tactics. Instead we nurture the relationship we have with prospective ciustomers and turn them into lifelong Clients based on our reputation, knowledge, services and honesty. Sure we may lose a customer because we honestly told them what their desired log home package will likely cost to construct, but that customer is forever grateful to us afterwards for our honesty in not selling them a log home package that they cannot afford to build! Similarly, we also provide our Clients with advice on saving money on their construction project whenever appropriate. This is how we expect to be treated by businesses we personally deal with, and we treat our customers that same way or even better. You see, at Morningdale Log Homes, we love and live what we do – building lifetime relationships with our Clients and selling a quality product in an honest manner. This is the way business used to be done and, we believe, still should be done. That is why we are accredited by the Better Business Bureau and maintain an A+ rating. Very few log home sales representatives, let alone log home suppliers, can legitimately make that claim. If you remember one thing from this, it should be that no one is ever “just a customer” with Morningdale Log Homes, you are a Client and we value your business because we know you could have chosen someone else! Please click on the photo/video link below to see the latest video on Morningdale Log Homes provided by the Better Business Bureau of Western Pennslyvania. After viewing it, I am certain you will contact us about allowing us to help make your log home dream become your dream log home! This video was developed, produced and provided by the Better Business Bureau of Western Pennsylvnia in 2017.